It's Monday which means I have the privilege of sharing another project over at Lori Whitlock's blog today! 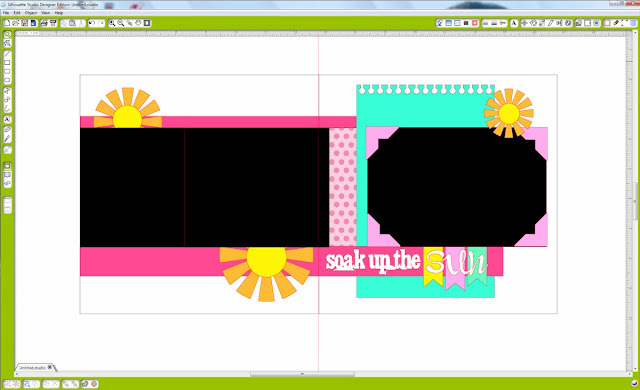 For today's layout I got to play with the new papers she created for Echo Park called "Sweet Girl". In fact with the exception of my cardstock, I made this entire layout with a 6x6 pad! They really are such playful & versatile papers. 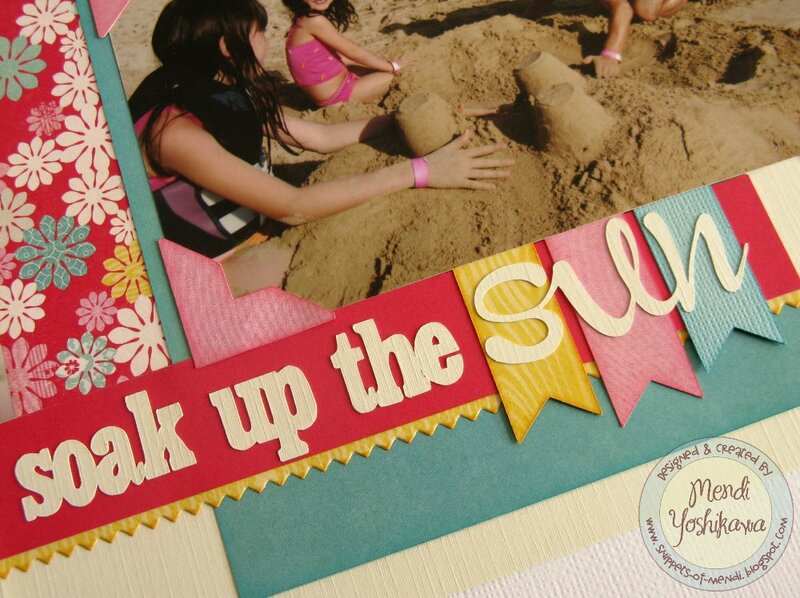 I love her little pie chart paper and how they mimic the look of beach balls for my summer layout. 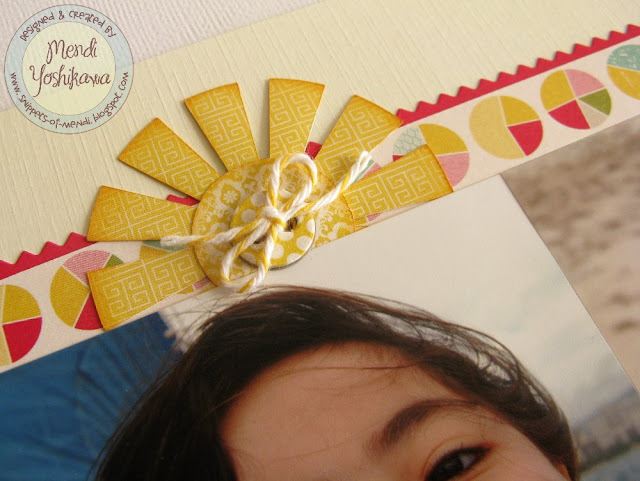 I had so much fun playing with Lori's layout files for the blog hop (shared HERE) that I decided to give them another go in a 8x8 format. I am keeping a small album for my mother-in-law in Japan and this layout file was so perfect for my needs. I took Lori's single page Summer Layout found HERE and I mixed it up a bit by rearranging all the existing elements to match a sketch I had already planned out. I'm telling ya... I love how many elements you get with these files! For the notebook paper journaling card I enlarged it be basically 4 times as large. However, I didn't want to simply enlarge it and have an oversized notebook torn edge so I duplicated the shape 4 times and lined them up with two on the top and two of them on the bottom. Afterwards I just welded them together to form my larger mat. For my title, I couldn't really truthfully use the SUMMER word because these were taken in Hawaii during the dead of winter so I once again mixed it up by using Lori's Summer Fun Titles found HERE. What a great layout design! I love how your "sketched" it out before hand! I love to do that too!!! This is a gorgeous layout! 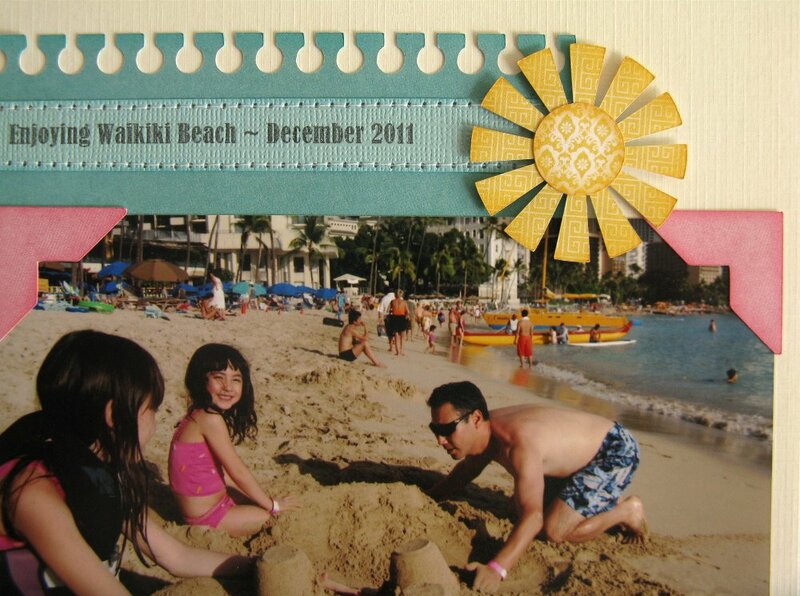 I love the design of the layout and all the fun and bright colors! What a fun, spunky layout! LOVE how you used this sketch! Such great design and photos. Love the papers you selected! 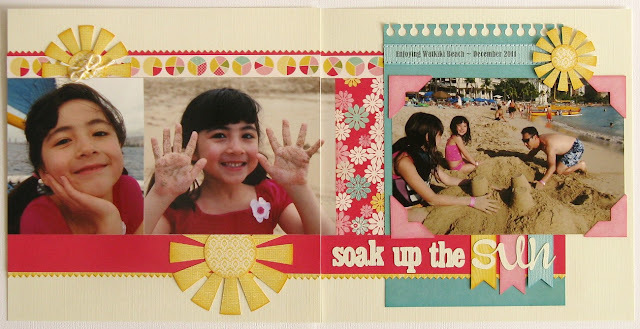 Such a cute double-pager...love those sunbursts! !